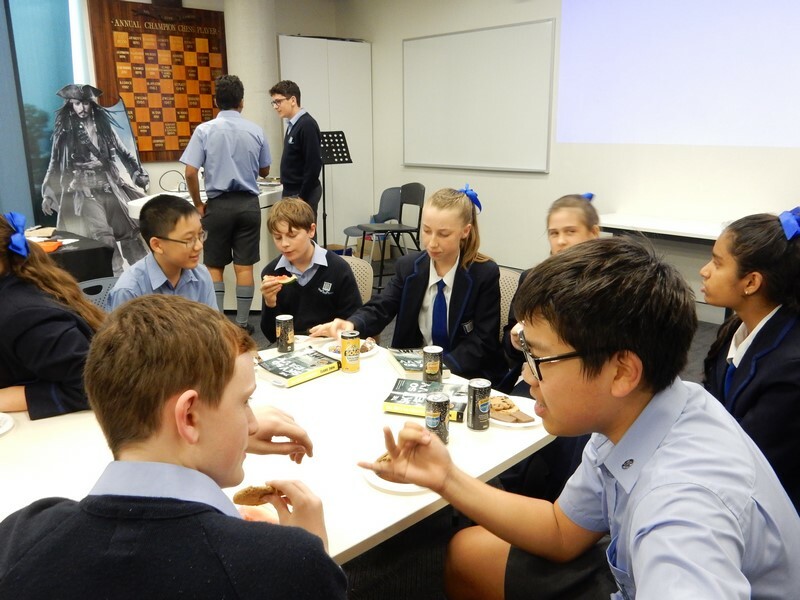 Each term the ‘Inside Story Book Club’ participates in a shared book discussion after school for one afternoon with another school in the Brisbane area. 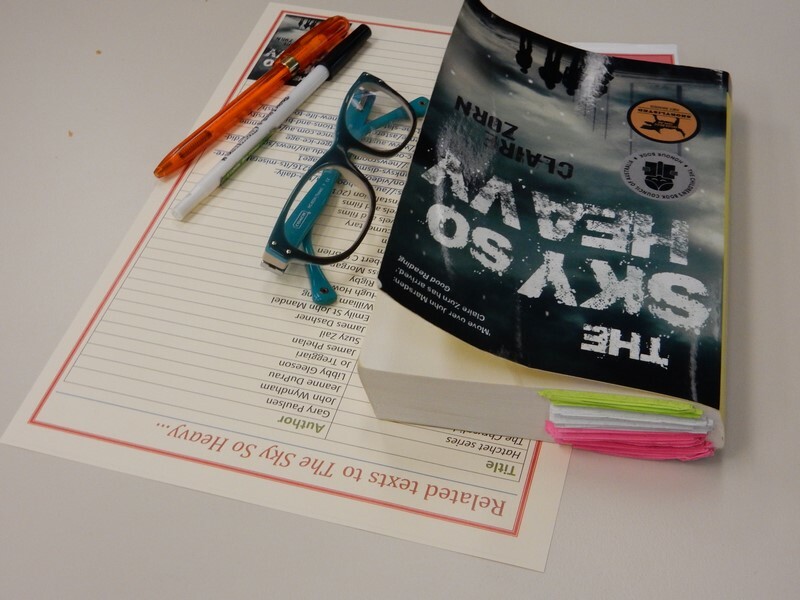 In term 3 BGS hosted Brisbane Girls Grammar for an afternoon of sharing ideas about the book ‘The Sky So Heavy’ by Claire Zorn. 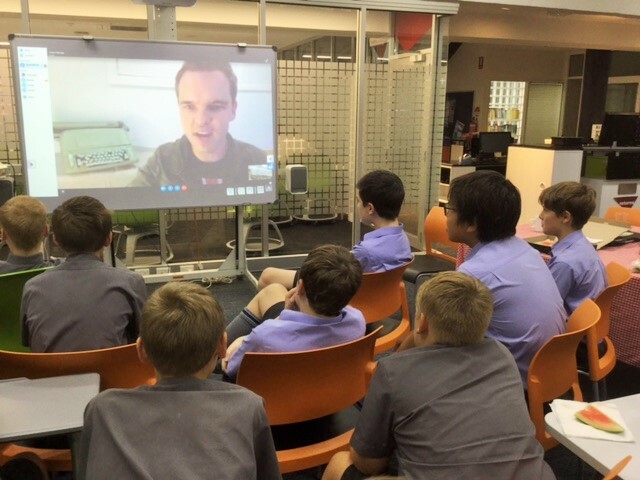 Terrace has just recently hosted BGS in their school library for a Skype session with Tristan Bancks about his book ‘Two Wolves’ which both groups had read. 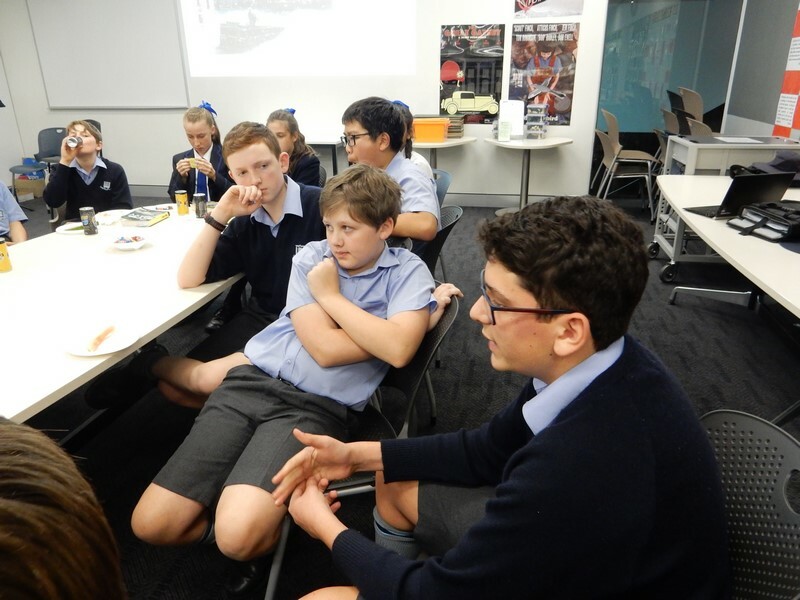 These shared book discussions are a great opportunity for the students to meet others from different schools that enjoy their passion of reading and to share their thoughts about novels that they have both recently experienced. 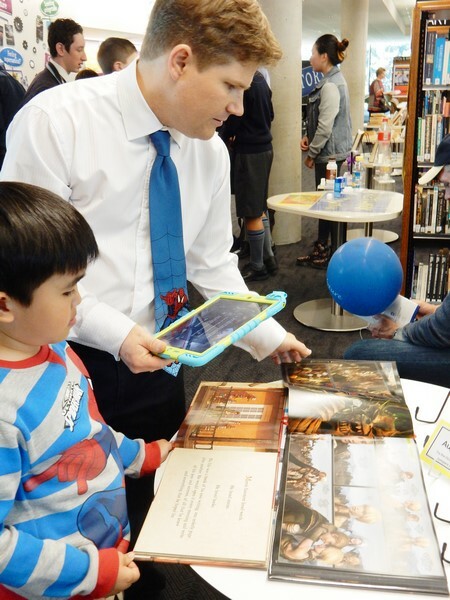 Open Day was a big success and it was nice to have so many people visiting our three libraries – over 1500 visits recorded to the Senior Library. 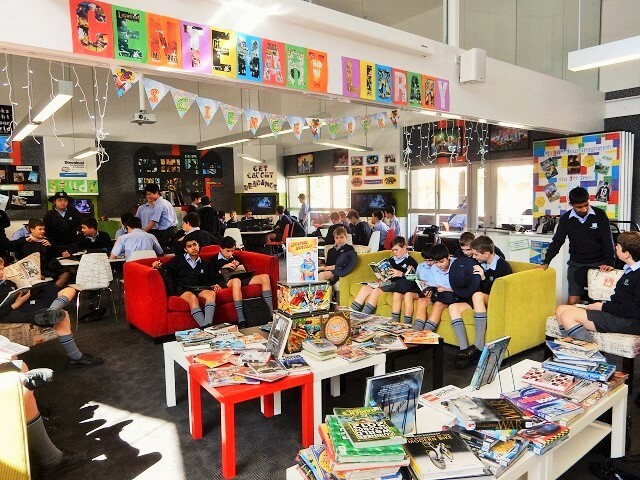 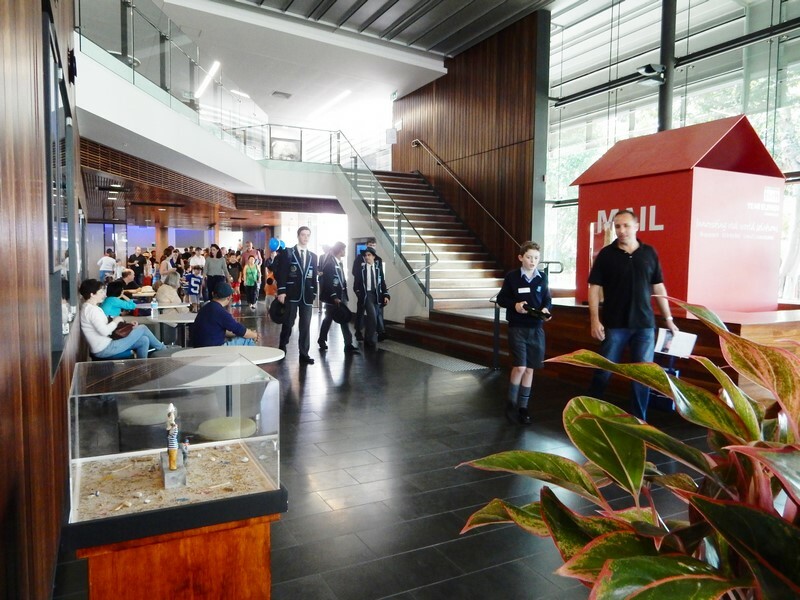 This library acted as our ‘activities hub’, where our guests where able to take a hands-on approach to finding out about the various libraries at Brisbane Grammar School. 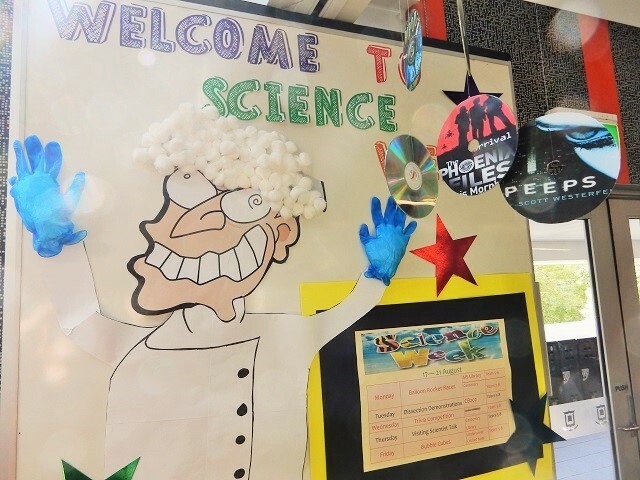 There were three major activities set up for people to take part in. 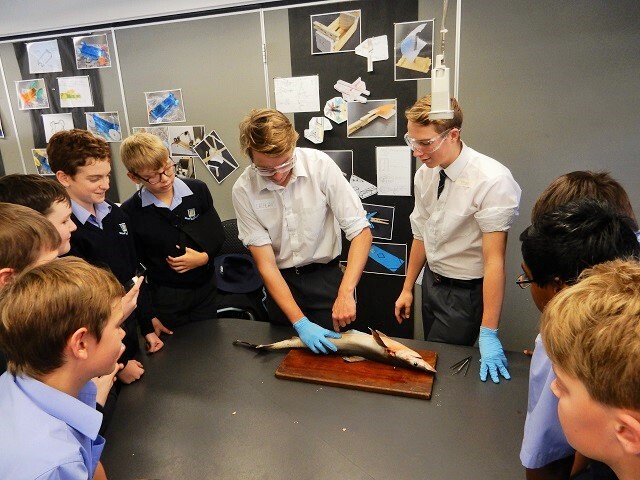 The first was something that we have been researching and planning for next year, and it proved to be extremely popular. 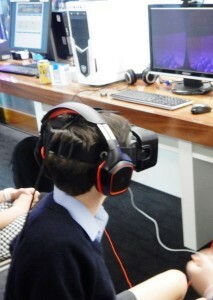 This was two Virtual Reality systems featuring Oculus Rift and Leap Motion devices. We have been researching the use of virtual reality in education to provide immersive educational activities. 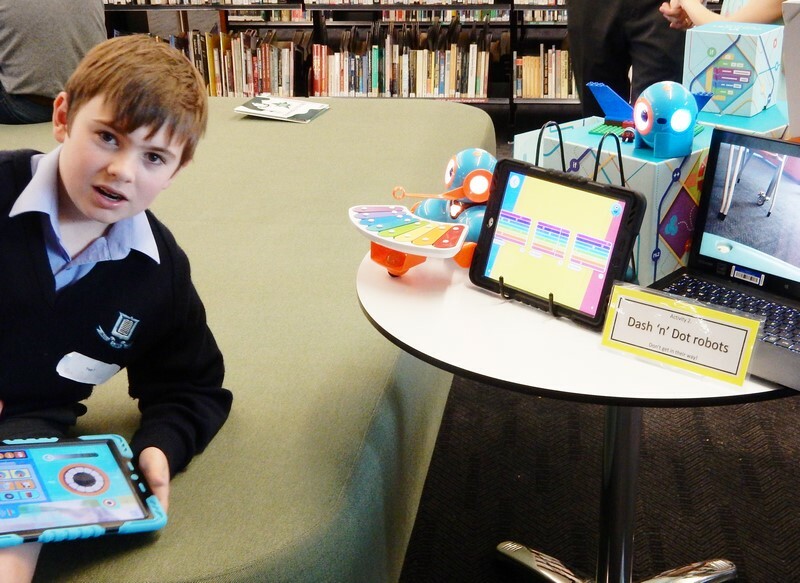 The feedback from students and the public was very positive and we look forward to installing a system or two in the Senior Library for the boys next year when the consumer model of Oculus is released. 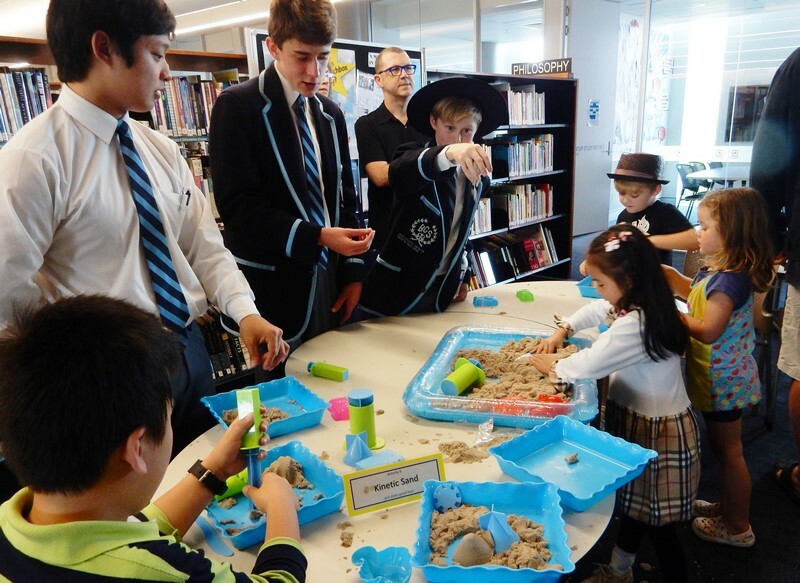 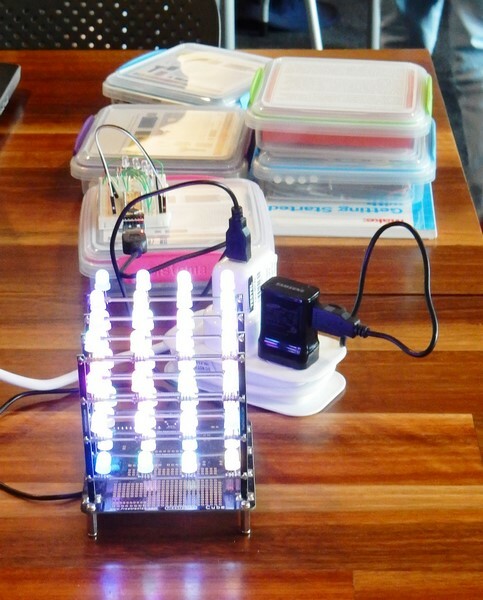 The next activity setup was actually a series of several micro activities which were all part of the Maker Spaces that are offered to students though the library. 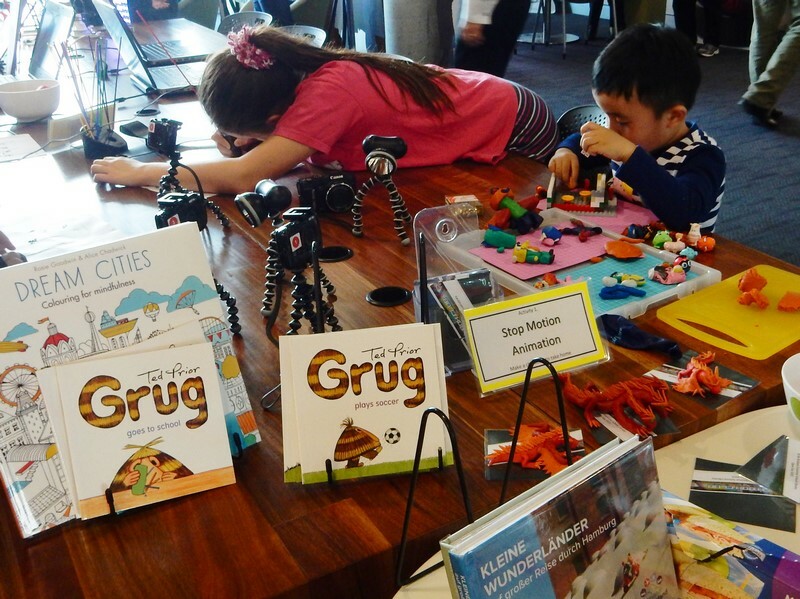 These activities included Augmented Reality Books, Kinetic Sand, Squishy Circuits, Robotics, Stop Motion Animation and 3D Doodler Pens. With so many micro activities on offer, the library was a buzz of excited faces, as anyone could simply move from table to table to experience the different kits. 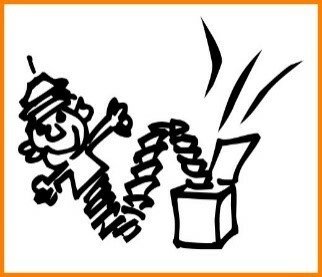 Finally, there was the return of Live Choma Keying. 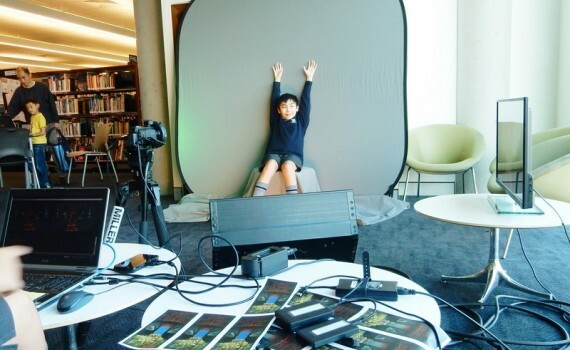 This year not only were visitors able to be composited live into a video with a fantasy themed background, but they could also take away with them a bookmark of the experience… we are a library after all! 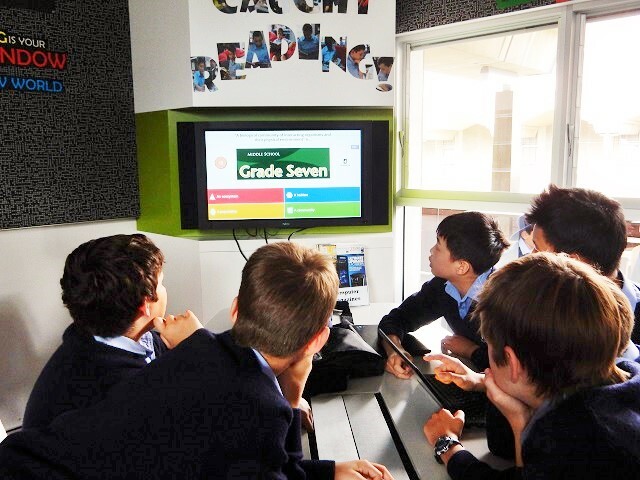 Reading will always remain at the heart of what we do no matter how much amazing technology is introduced. In our other two libraries we had tours being run by staff and students. 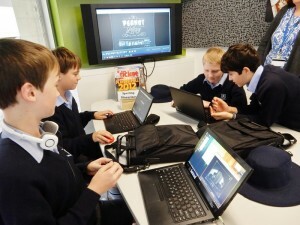 People were able to see many of the activities the boys have been up to this year in the Centenary Library via the videos that were being displayed around the room. Whilst the library staff all claimed to be utterly exhausted at the end of the day, it is the students who deserve the credit. 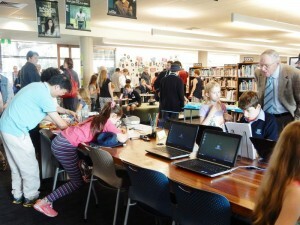 We had so many of them volunteer to assist us on the day. We were all very proud of their work ethic and exemplary behavior: they were truly amazing examples of Grammar Men. Science Week was a huge success in August at Brisbane Grammar School. 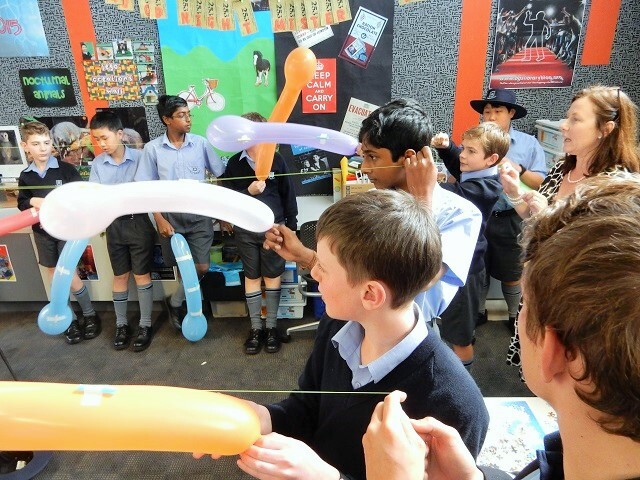 The Middle School came alive at lunch times with a different activity each day, including making rocket balloons and racing them in the MS libraries, a brain boggling Science trivia quiz and making extremely cool bubble cubes. 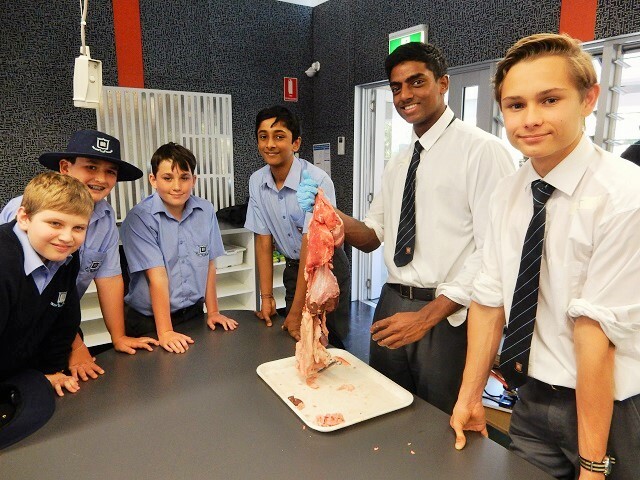 Tuesday lunch was a real highlight when Year 12 Biology students came to the Middle School and showed us the dissecting skills they have learnt in class. 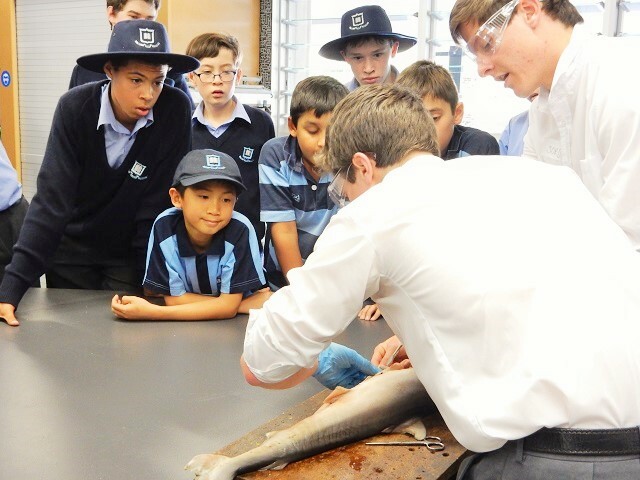 I want to thank the students for demonstrating how to dissect sharks as well as pig plucks and explaining the anatomy of these animals to the Middle School Students. 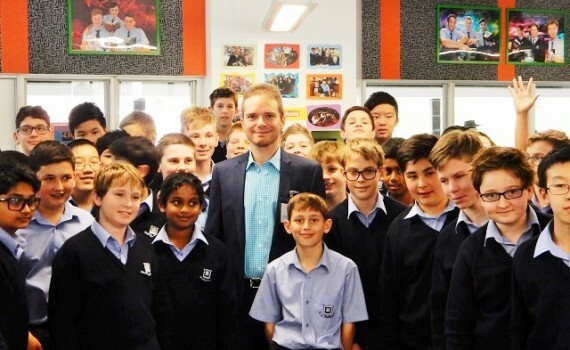 We were also extremely fortunate to welcome Dr Dimitri Perrin from QUT to talk about his fascinating research on the human brain. 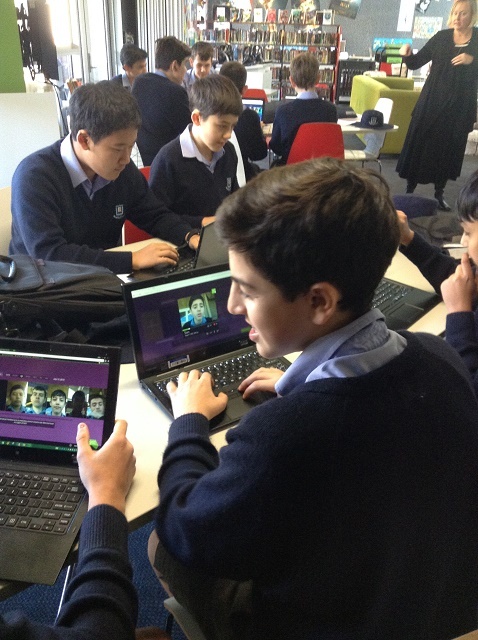 To link in with Hugo Cabret, the book our Year 7s are studying this term, the boys have been playing this week with black and white movies. 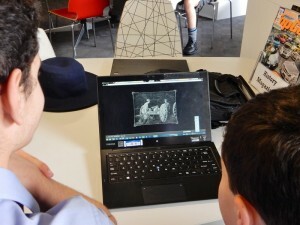 First, we watched Georges Melies silent movie A Trip to the Moon, and reflected on the way the exaggerated movements of the characters and the music help to set the tone. 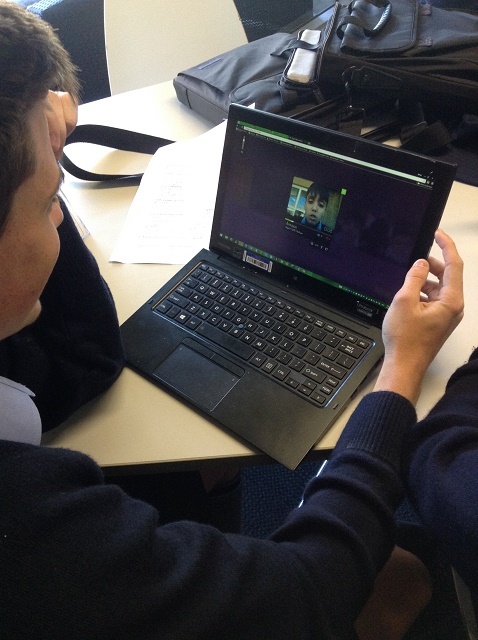 Then we moved on to adding ‘intertitles’ to old black and white movie clips, using a Google Chrome Experiment website, Peanut Gallery Films. 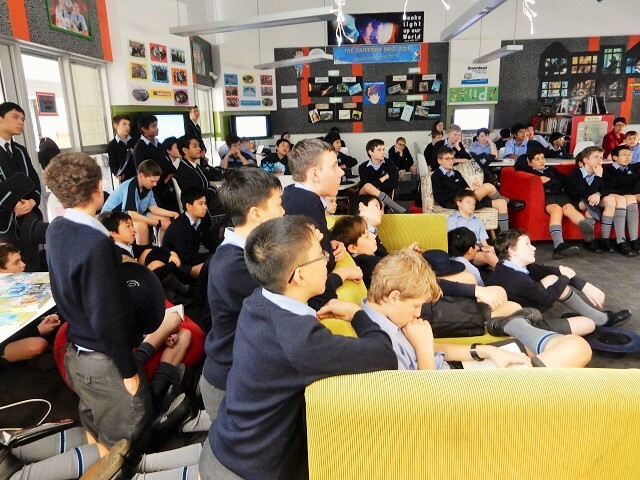 The boys had to choose a movie clip, speak to activate it, watch it once and then speak to add text to the clip the second time they watched it. 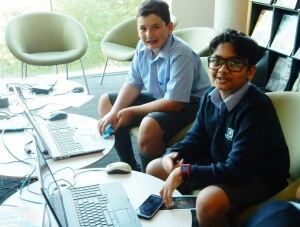 This website uses a Chrome speech-to-text API and, while it didn’t always pick up exactly the right words, the boys had a lot of fun playing with it. 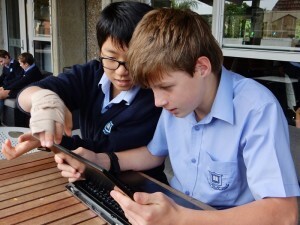 A big thanks to Shannon Miller for showing us this website. Other information about Hugo Cabret can be found on our Library website. Centenary Library has been taken over by the Rubik’s craze! 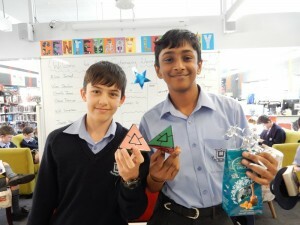 Recently the library purchased two Rubik’s triangles that have become very popular with the students. 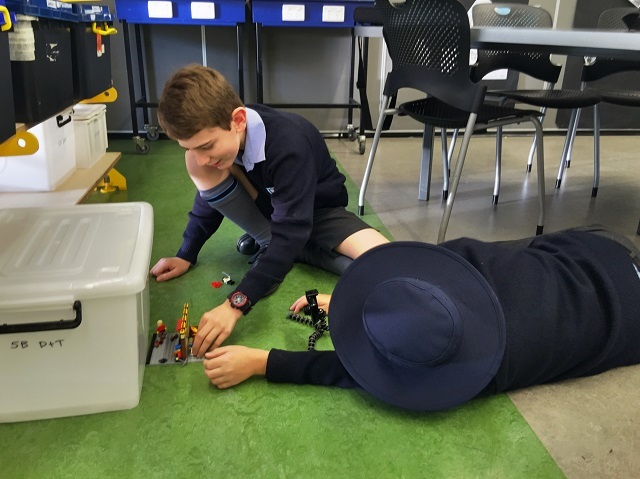 There is never an available triangle left on the bench as the boys are busy working away trying to learn the technique to solving them. 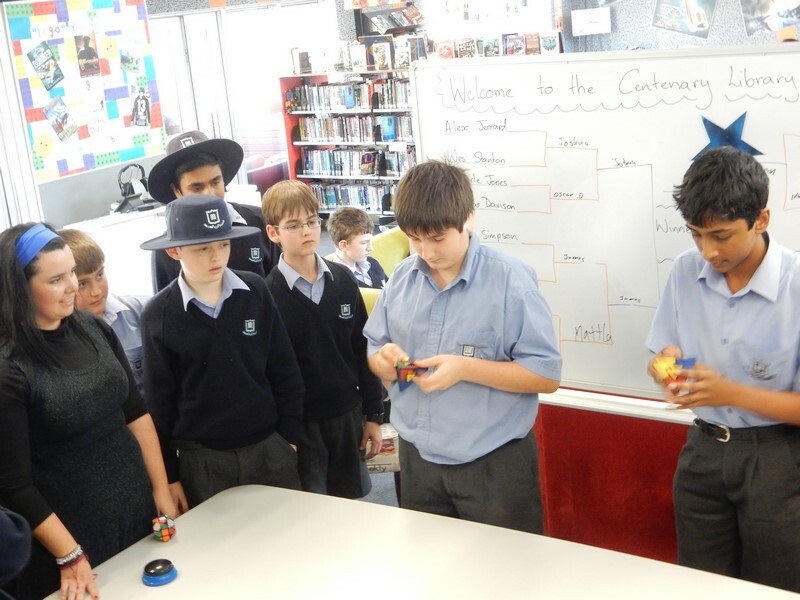 On Wednesday at lunch the Centenary Library held a tournament to see who would be crowned the ‘Centenary Library Rubik’s Champion’. The event was very popular, filling the library with spectators and the 16 competitors. 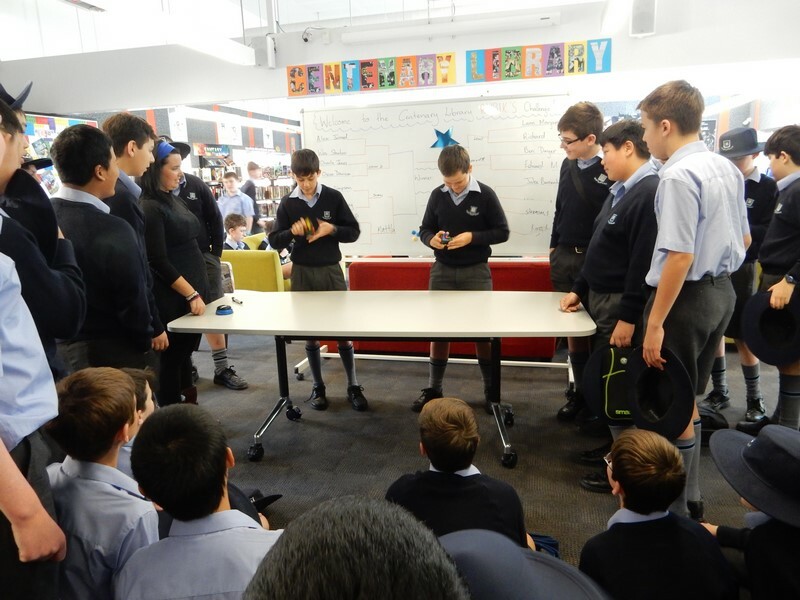 There were some very fast movers in the challenger rounds and it came down to a nail biting finish with only a second difference in completion time. The winner received some chocolates as a prize and the knowledge that they were the fastest in the library. 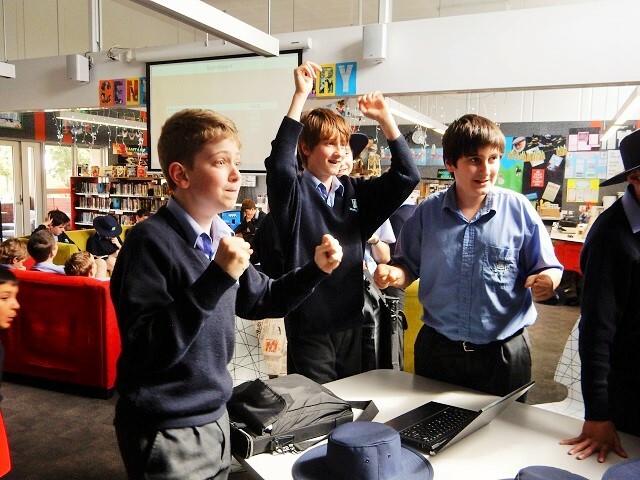 Those in the competition showed great sportsmanship as they were cheered on by their peers. 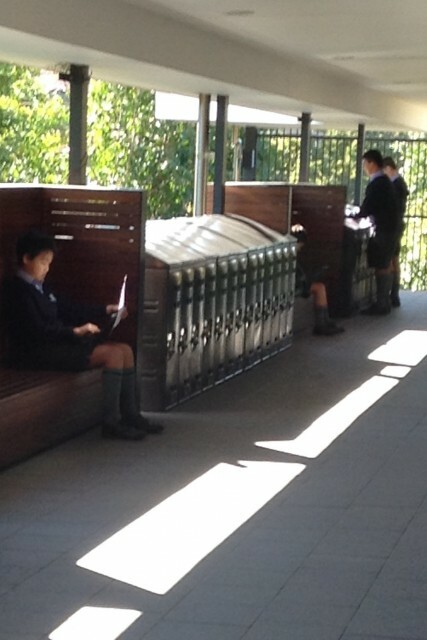 It was a very exciting lunchtime activity that all could enjoy. 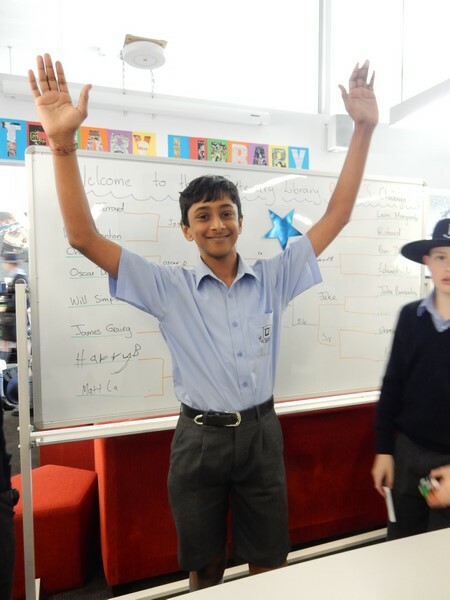 Congratulations to the finalists and good luck next time. 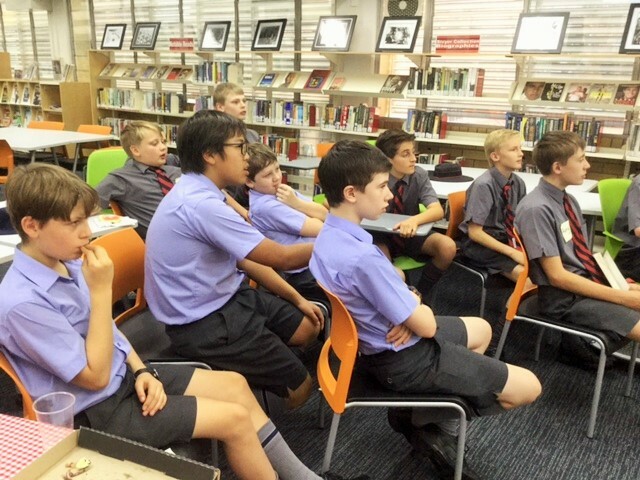 Library lessons for Year 8 classes have been great fun over the last two weeks with boys creating a short video clip in which they recommend a book to their peers. 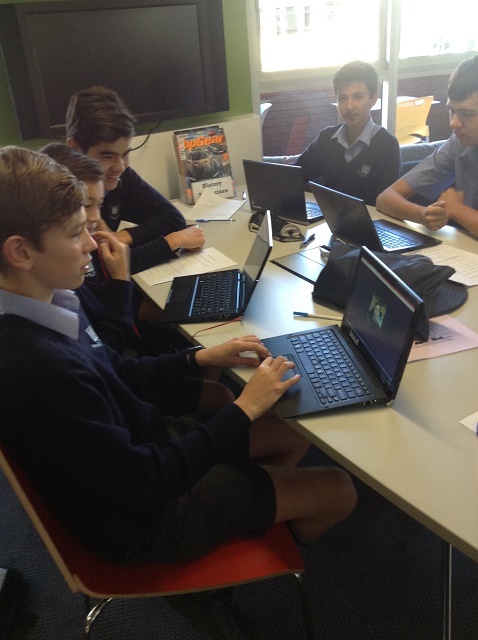 In order for this to occur, students have been reading, planning, practising and recording their presentations. 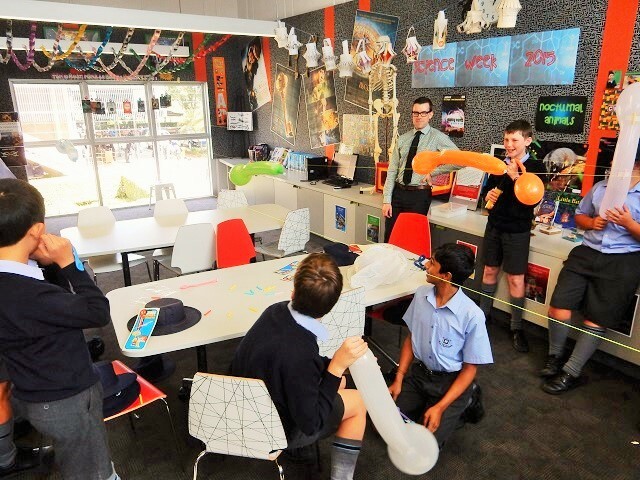 There is a limit of 90 seconds per clip so boys need to think carefully about what information to share. 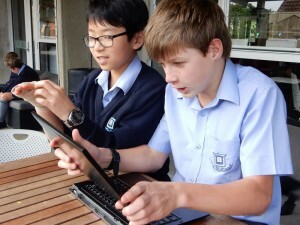 The tool for this is Flipgrid. 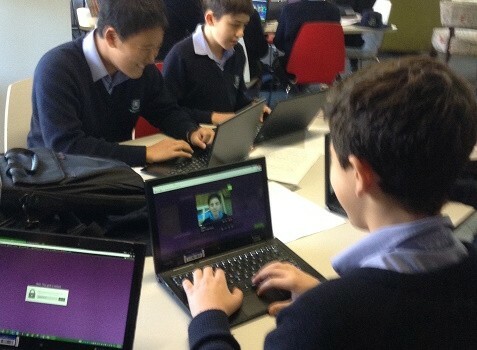 Each class has been given access to a unique platform where they can record their own recommendations.. Each class has a secure log in so people outside of the school are unable to view the clips. 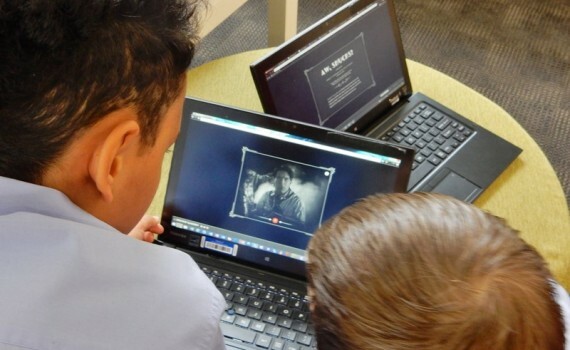 Parents can view these videos by using the same log in as their son. 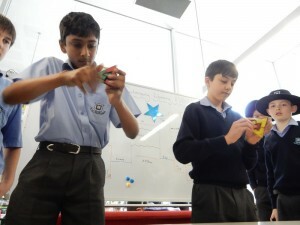 It has been a great activity with lots of energy during the creative process. 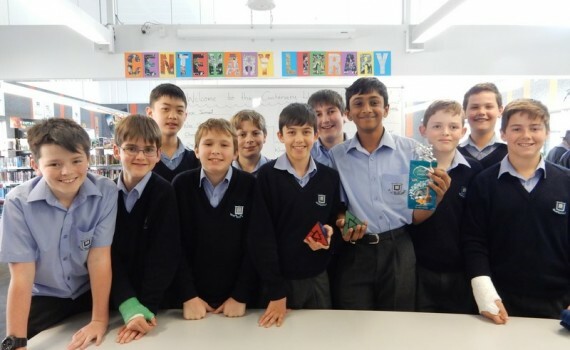 The Lunchbox Club has grown! 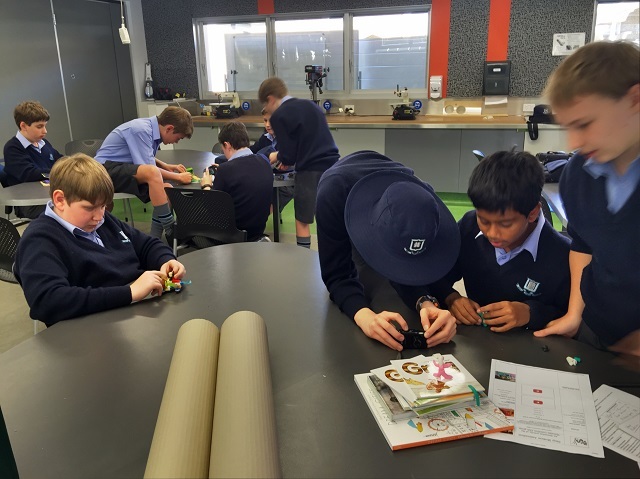 The Lunchbox Club that offers Year 7 and 8 boys an opportunity to explore, create, share and ‘make things’ in a Maker Space learning environment has had a successful start to the year. A single lunchtime no longer seems long enough for our bigger projects! 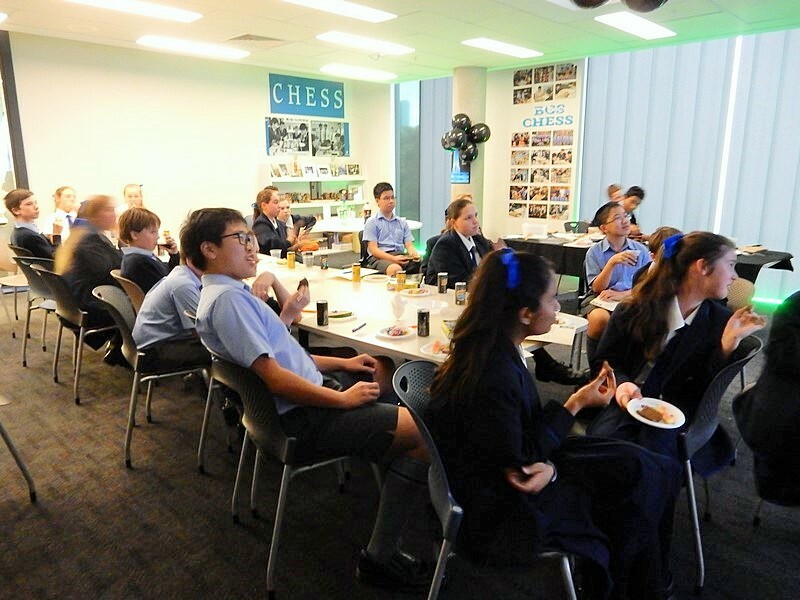 So we have introduced an Extension Lunchbox lunchtime of activity on Tuesdays this term. 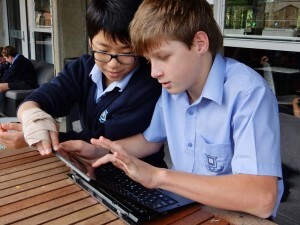 New comers are also welcome to join us. 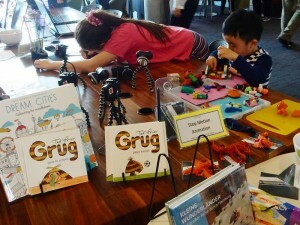 Last week we began the first major project: exploring Stop Motion animation. 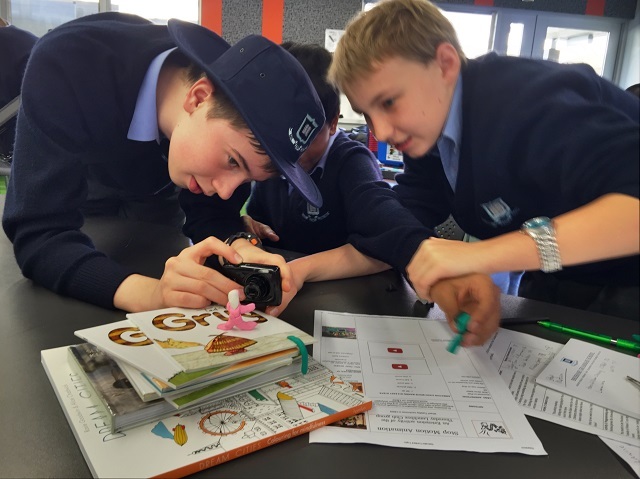 In true Maker Space philosophy, the boys can focus on a single aspect of the process, or create a complete movie. 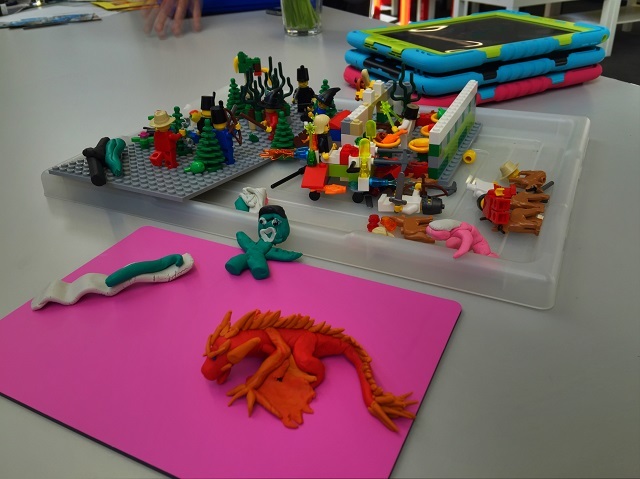 There will be character plasticine modellers, diorama studio builders, LEGO experts, and storytellers working together in a variety of ways. 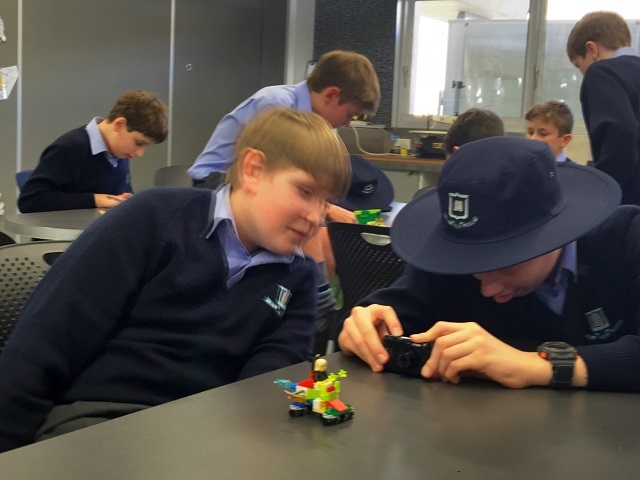 The boys are using a variety of equipment. 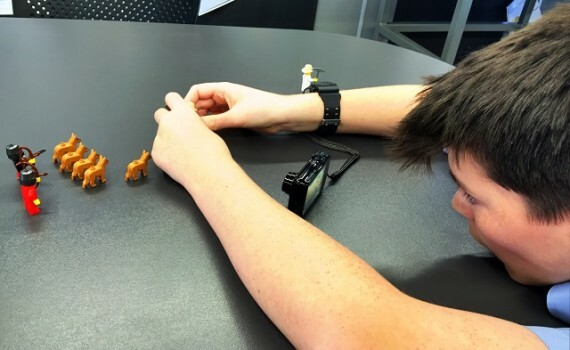 There are tripods and small cameras, iPads and a variety of Apps to explore, and software to master for a finished project. 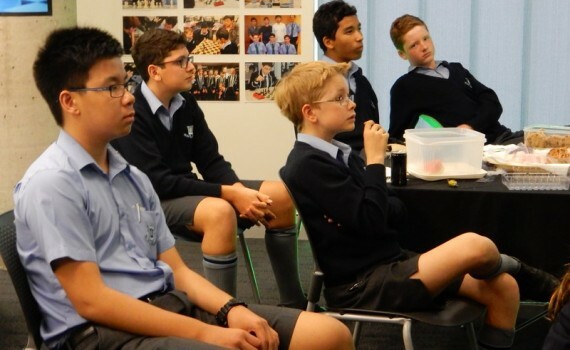 Next week, we are excited to invite Mr Sam Russell, Digital Media Specialist, to assist us on understanding the differences between this form of storytelling and simply ‘making a video’.